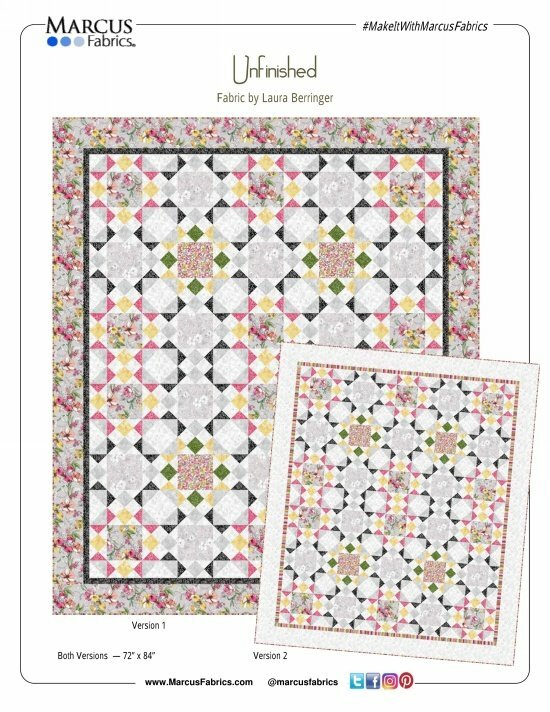 The Unfinished fabric line by Laura Berringer for Marcus Fabrics as well as the Unfinished free pattern from Laura are used to create this 72" x 84" Quilt top. Fabric to create the quilt top, pattern and binding are included. Kit is for Version 1 Colored Border.